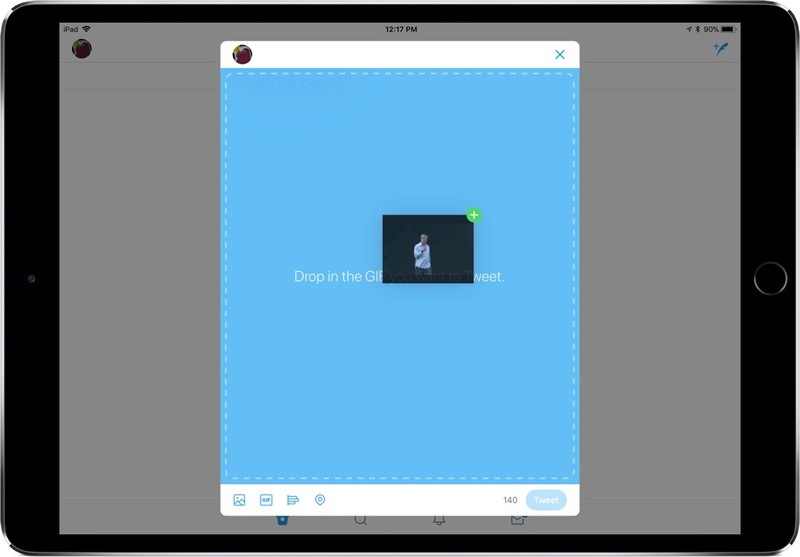 If you need another reason to believe drag and drop in iOS 11 is a big deal, here’s one: Twitter, long known for its “a few minor updates” releases, brought a day one release supporting drag and drop in the composition area. For iPad users, this means that you can drag photos, GIFs, text, and more right into Twitter when you’re composing a tweet – so instead of searching endlessly for the perfect photo in the app, you can bring it over from another source. Additionally, Twitter’s update brought support for iOS 11’s Smart Invert Colors accessibility setting, which means you can now invert the screen’s colors while still seeing media in the intended colors. This is a pretty specific new feature to support, but it shows that Twitter cares how people view the app and is willing to make display changes to accommodate that. When tweeting images, Twitter will also display larger preview images to help you guarantee that you’re showing exactly the right picture. And with an expandable compose area, you’ll be able to see all the content you’re planning to put into a particular tweet. While pretty minor, the latest update to Twitter shows promise for further updates, including more support for drag and drop. In the future, I’d love to see support for dragging images to direct messages and for them to expand how I can take content out of the app.